Do you love quesadillas? Do you love spinach and artichoke dip? 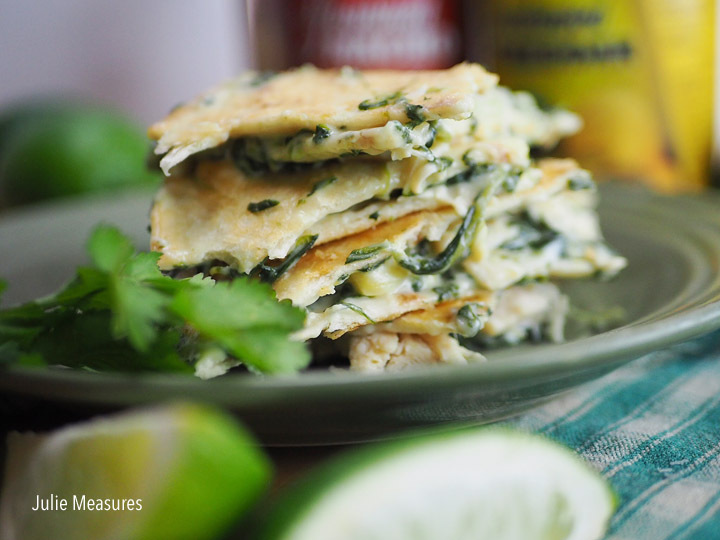 I put them together to make Queso Blanco Spinach and Artichoke Chicken Quesadillas! 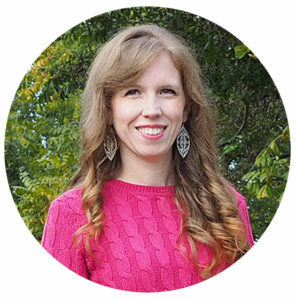 When I was pregnant with Littlest one of my favorite things to eat was spinach and artichoke dip. Since having him, it’s still probably my favorite appetizer to get at a restaurant. But I had never tried making it at home before. However, I have made quesadillas dozens of times. They are simple to make and everyone in my house loves them. I have traditionally made chicken quesadillas with cheddar cheese and cooked diced chicken. But when I was at Walmart picking up some cans of Ricos Cheese I saw that they had a Queso Blanco flavor. On a whim I added that to my cart along with some traditional nacho options. While dreaming up what I could make with my White Queso Blanco Cheese sauce I thought about spinach and artichoke dip. And then I thought about adding chicken to the dip. And then I thought about turning it into a quesadilla. A few quick additions to my grocery cart for frozen spinach, a can of artichoke hearts, some cooked chicken, and flour tortillas and I was ready to go. 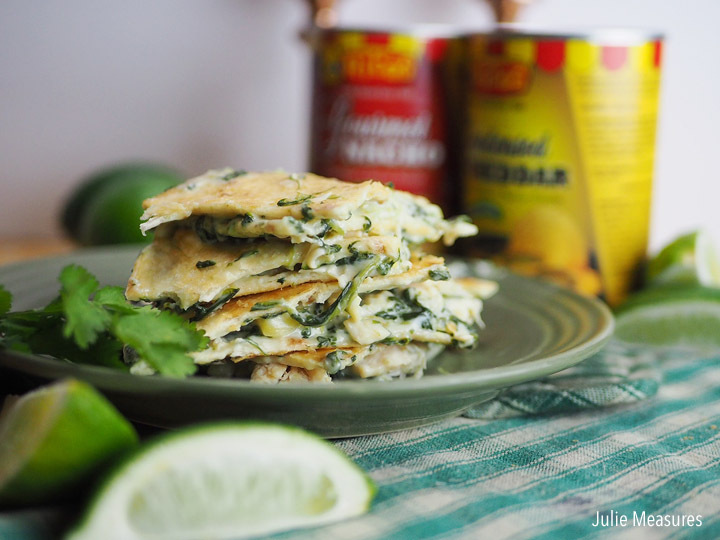 The first step to making homemade quesadillas stuffed with spinach and artichoke dip is making the dip. Turns out spinach and artichoke dip is easy to make at home! Thanks to Ricos Cheese Sauce it’s pretty much just heat and serve. 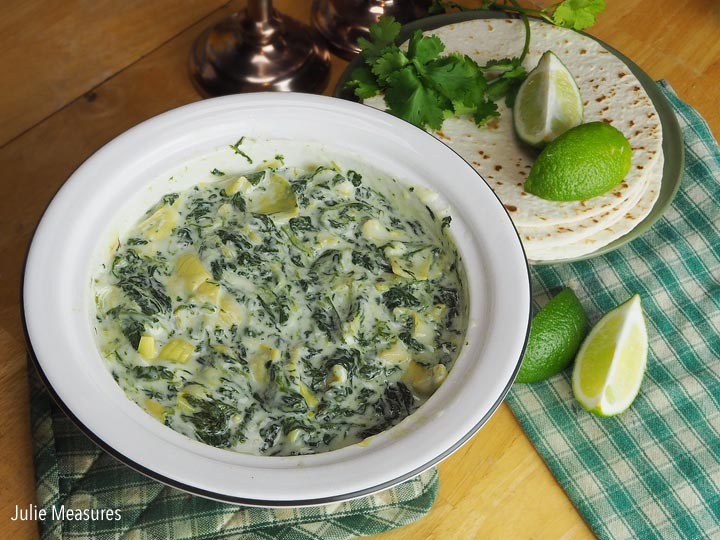 Combine the Ricos White Queso Blanco Cheese, spinach, and artichoke hearts. Heating the mixture in the microwave, stirring every minute until the dip is combined. After the dip is made it’s time to assemble the quesadillas. I like to butter the outsides of my flour tortillas. I also cook my quesadillas on a griddle so I can cook more than one at a time, but you could cook them in a skillet. I butter the tortilla and put it butter side down on the griddle. Then I layered the dip and chicken, and placed the 2nd flour tortilla on top – butter side up. Remove the quesadillas from the heat and allow to cool slightly before slicing and serving. 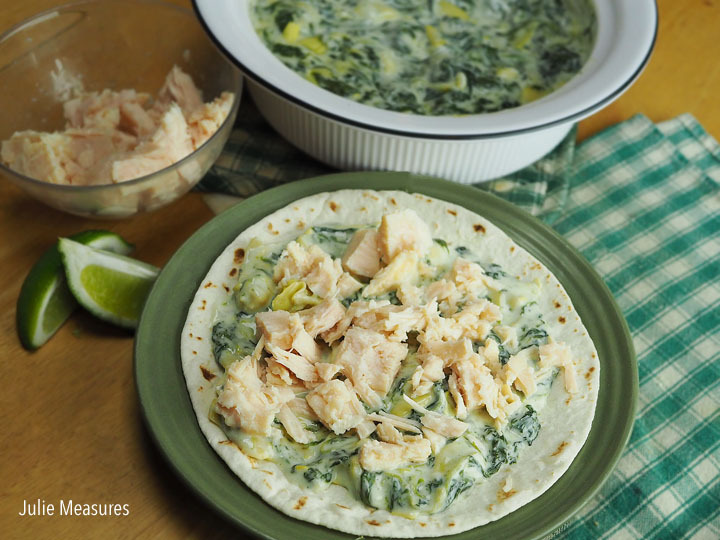 Homemade quesadillas stuffed with spinach and artichoke dip, chicken and melted cheese, what more could you want for dinner?! 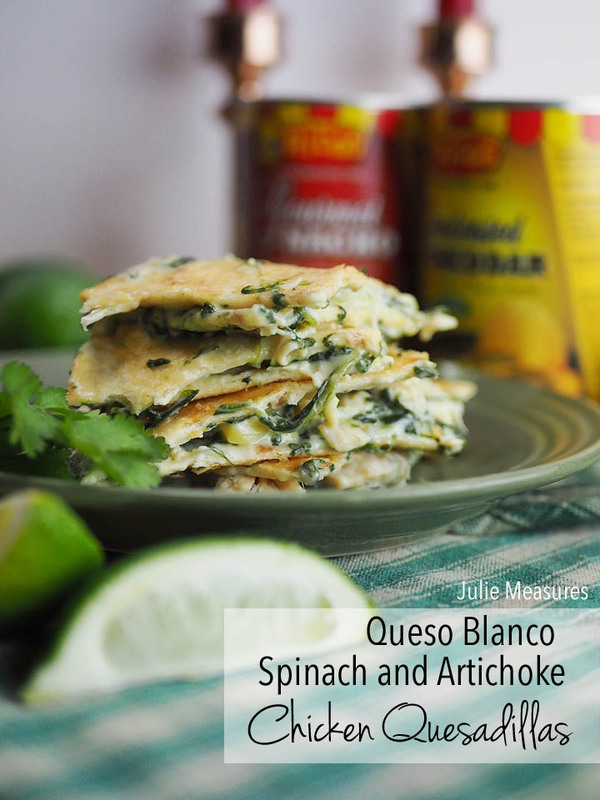 Combine Ricos Queso Blanco Cheese Sauce, spinach, artichoke hearts, onion powder, and garlic powder. Microwave on high, stirring after each minute until mixture is well blended. Layer a flour tortilla, dip, chicken, and another flour tortilla. Cook on a griddle or in a skillet until tortilla is golden brown on each side, flipping once. Cool slightly, slice in wedges, and serve. We love spinach and artichoke anything! Your recipe sounds like something I know my family would enjoy. Thanks! I love a good Spinach & Artichoke Dip! I’ve never thought of using Ricos for it though. Great idea! I bet it tastes amazing. Definitely going to give this a try!